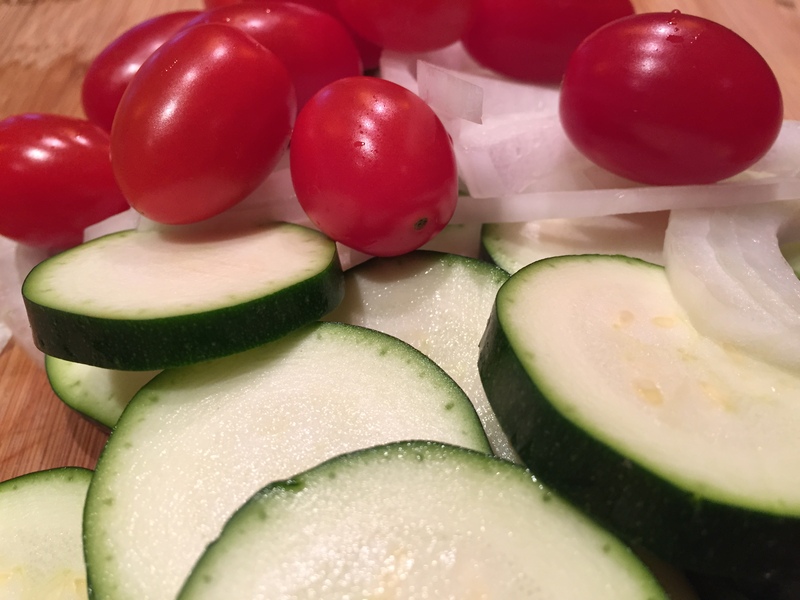 Cut onion and zucchini in slices, peppers in long strips. Peel garlic and chop finely. 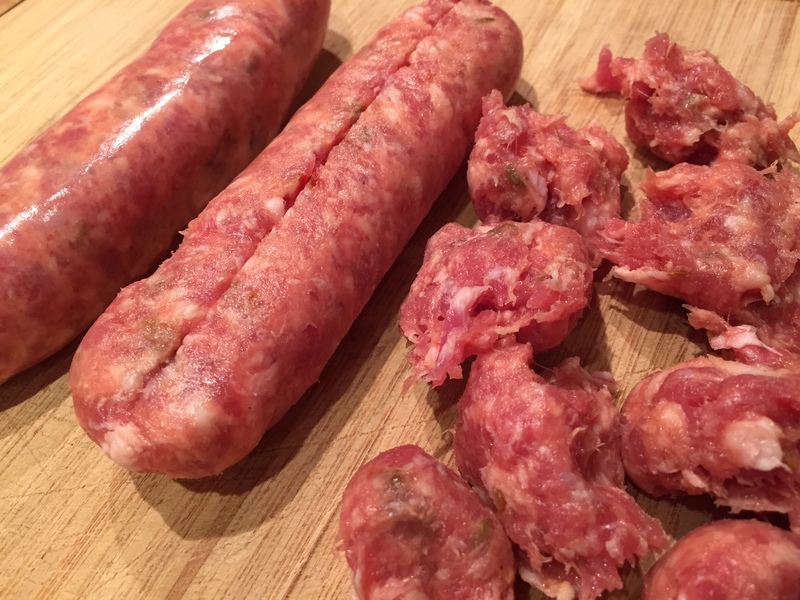 Remove sausage from casing and break into 1 inch pieces. Heat olive in a heavy pan to medium/high heat, stir fry vegetables except garlic for 2 minutes. Add garlic and cook for 1 more minute. Salt and pepper to taste. Remove everything from pan with a slotted spoon and set aside. 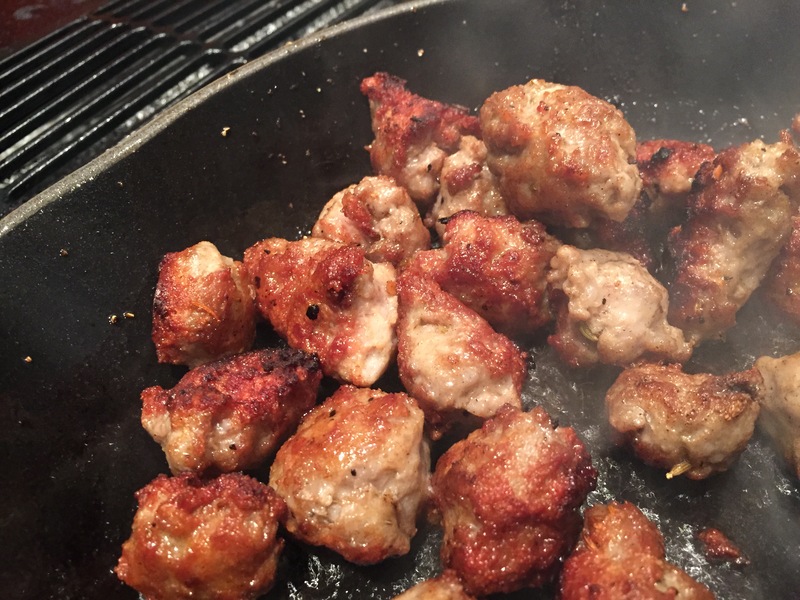 Fry sausage pieces for 2-3 minutes, adding some olive oil if needed- until cooked through and crispy. Remove from pan and add to vegetables. In the meantime bring 3L of water to a boil and add salt to taste. Cook pasta al dente. 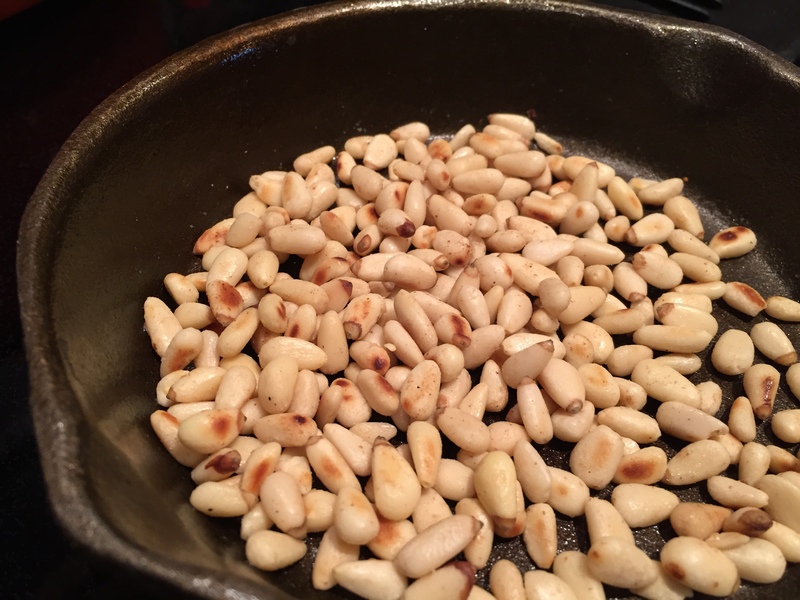 In a dry pan heated to medium high heat toast pine nuts to golden brown. Remove from pan immediately. Drain pasta, put it back in the pot on medium heat, add meat and vegetables. Drizzle a little olive oil all over and stir gently until just mixed and everything is nicely hot. 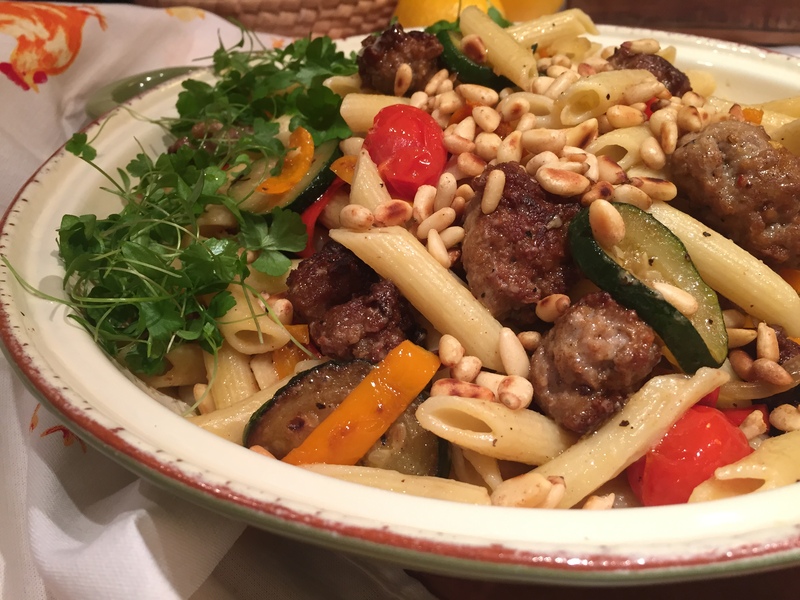 Serve on pasta plates and top with toasted nuts. Offer freshly grated Parmesan on the side.